Brisbane is a small town 9 miles south of San Francisco, nestled in the Guadalupe Valley on San Bruno Mountain. Although it is located on Highway 101, Brisbane is easy to miss because it is separated from 101 by a man-made lagoon. Shellmounds on San Bruno Mountain indicate that this area was once inhabited by Ohlone native Americans. The environment offered them ample black oak trees for acorns, plentiful fish and shellfish, and tule reeds in the wetlands for their homes, boats, and baskets. When the Southern Pacific Railway built the railway from San Francisco to San Jose in 1864, they bypassed this portion of San Bruno Mountain in favor of a route further west, near San Bruno. Their route included a steep grade over the Bernal Cut, requiring extra steam engines for every run. In 1904, the SP built a faster and more direct route along the bay near what is now Brisbane, creating the Bay Cut Off. This stretch of track set a new record for expense at $1,000,000 per mile for 9.8 miles. Efforts to start a small town near the railroad began with limited success. It wasn’t until the 1930’s depression that Brisbane (then called Visitacion City) began to iattract a small population with the offer of cheap lots ($100) and the freedom to build your own home with minimal interference from the town. In the 1940’s Brisbane began a tradition that led to its nickname “The City of Stars”. 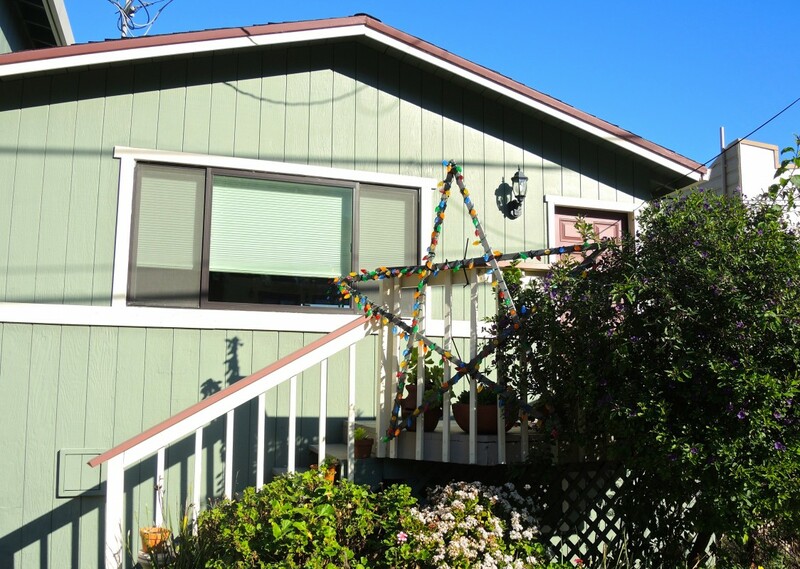 During WW2 individual posted lighted stars on their homes to remind themselves of the sons still at war. Later the Chamber of Commerce championed the tradition by distributing small and large stars to any homeowner willing to maintain the lights. Early industry in Brisbane included slaughter houses, railroads, and Greywacke quarrying. Today Brisbane is a city of 4,400 and is proudly working to restore their environment from the Mountain to the Bay. 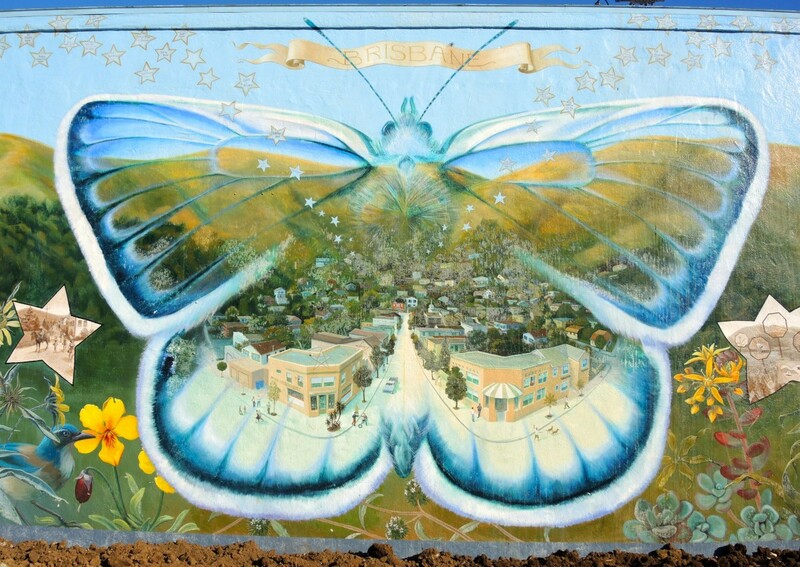 They are the first city to draft a Habitat Conservation Plan under the Endangered Species Act for the preservation of the Mission Blue Butterfly. 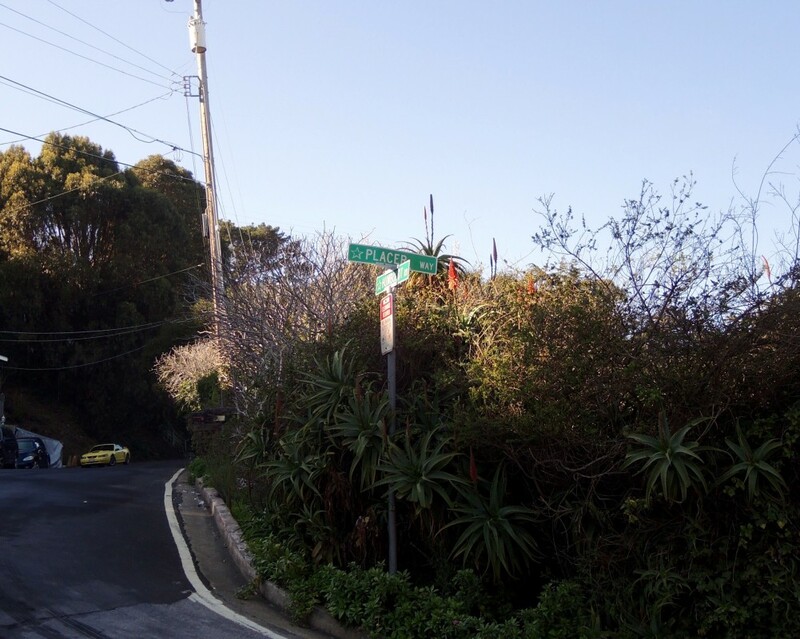 They have removed multiple invasive species from the landscape on San Bruno Mountain and worked to discourage development near the disappearing shellmounds of the Ohlone Indians. They are currently nurturing a community of Pacific Tree native frogs in a restored wetland within an industrial park. Their Mission Blue Nursery grows native plants for replanting in restored and refurbished local areas. In 1976 Brisbane began a tradition of painting its fire hydrants with whimsical, social and political messages. Today a small park in town showcases a few retired hydrants, including a gold fire hydrant. (It recalls the famous hydrant of the Mission that didn’t fail in 1906, and is repainted every April 18) Other hydrants throughout the town reflect the small-town quirkiness of Brisbane.